Last time I wrote about how we attempted to make exams week more about celebrating our students’ learning by giving them to opportunity to be reflective on their year as MYP learners. Today, I want to share how our teaching staff used the results of our students’ efforts to be reflective about their year as MYP teachers. John Hattie says the best data we can gather on our teaching practice is the work of our students – this was exactly what we set out to do with this collaboration. After our students had left for the year, we all gathered together in our library to participate in the Visible Thinking routine “See, Think, Wonder“. This routine was chosen because it would allow us to examine the students’ work on an individual, subject team and divisional basis. The most important point of emphasis for this session was that we were going to look at these results through the lens of our own practice. This meant being risk-takers and being willing to shift the conversation away from things like, “The students didn’t seem to understand…” to things like, “I need to do a better job of teaching…”. With this focus in mind, teachers started the routine with 10 minutes to individually review the information they received from their students – as we used online forms to collect this information, it was easy for us to retrieve, share and store; all in one central location. 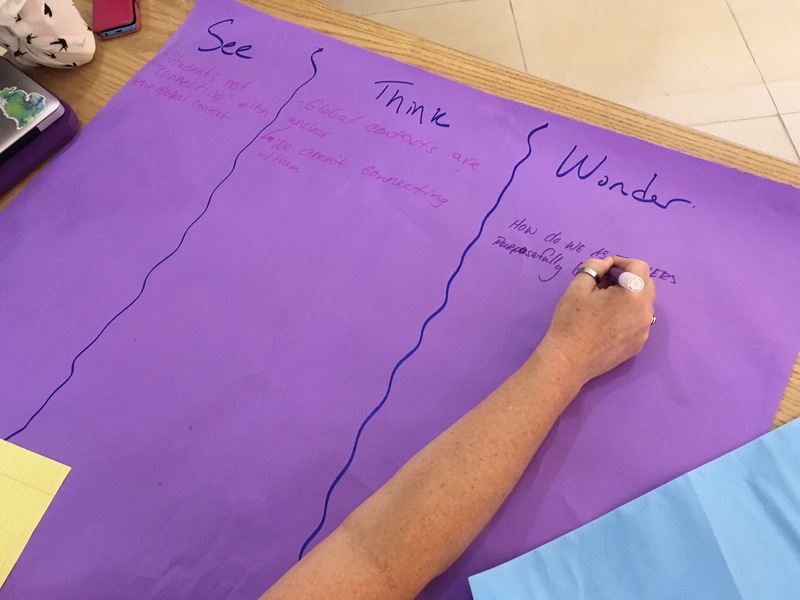 As they read the results, each teacher jotted down items of interest based on the prompts “see”, “think” and “wonder”, then then came together as a team to consolidate their observations. Teachers first reviewed student results invidually, then as a team. We tried to keep the focus on our own practice. 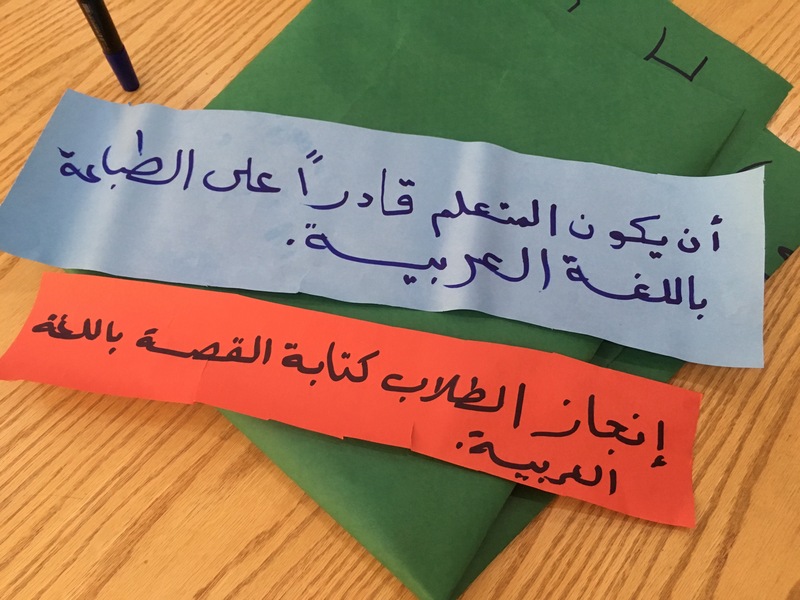 Despite the fact that some of the conversation drifted towards what the students did and did not show on these reflections, I was impressed with how we were able to shift our focus back to our planning, our practice and what we could do to improve for next year. 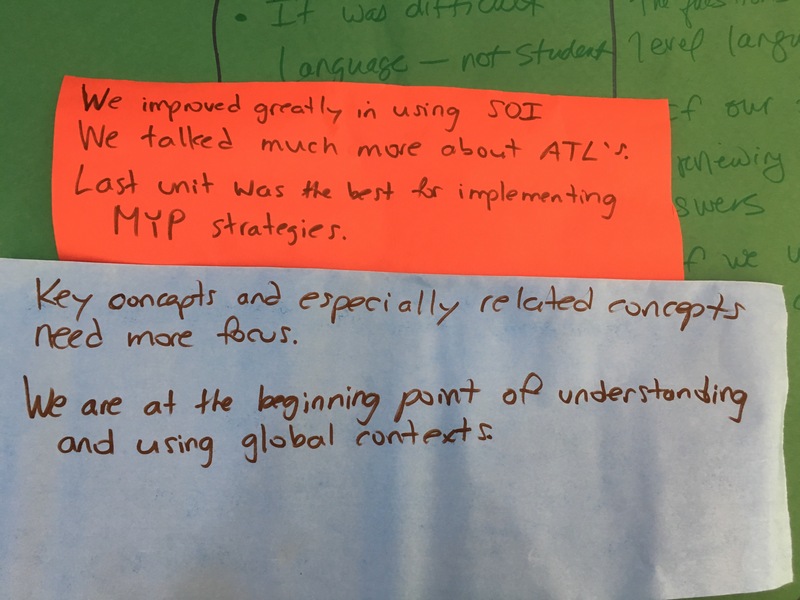 Once we completed “See, Think, Wonder”, we moved on to giving ourselves warm and cool feedback – first as subject teams, then as an entire MYP 1-3 division. It was interesting (and in a way encouraging) to see how quickly and enthusiastically our teams identified and communiticated an area for growth that they would like to focus on next year. Of course, it was also nice to see our teachers being so reflective and celebrating the amazing successes they had as MYP teachers over the course of this year. Warm and cool feedback from our MYP 1-3 Science team. It is too easy, sometimes, to get in the habit of constantly looking towards what you want to do differently next time, instead of allowing yourself the opportunity to feel proud about what you have done well. I was glad this feedback format gave our us the well-deserved opportunity to celebrate what we have done this year. At the conclusion of our session, we came together as an entire MYP 1-3 division to do a gallery walk of our warm and cool feedback, consolidate everyone’s observations and give ourselves, as a division, one overall piece of warm and cool feedback. 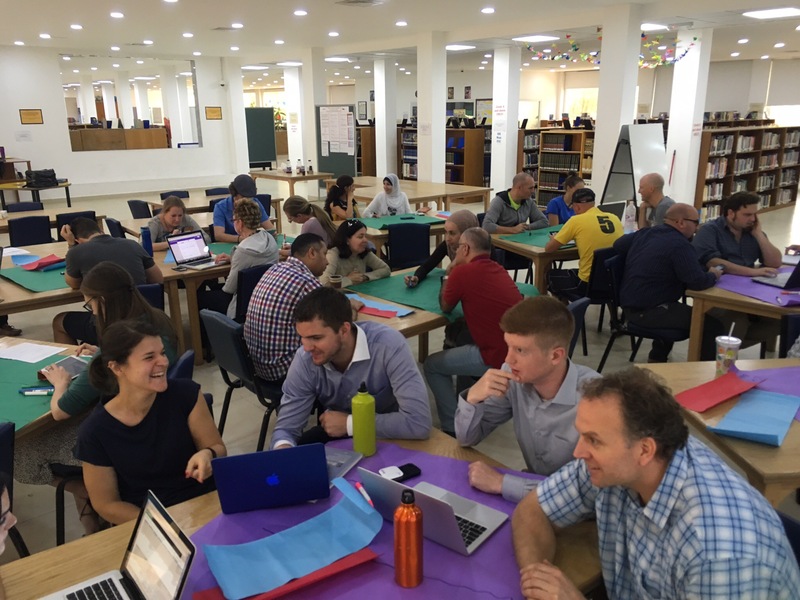 “We are proud of the learning we have done this year and feel that our developing understanding of the MYP is having a positive impact on our students and school community”. “We wonder how we can more effectively plan with the Global Context of a unit in mind and how we can make more authentic use of Global Contexts within the teaching and learning in our classroom, in order to engage our students with globally significant and relevant learning”. As a coordinator, this was a great opportunity for me to be reflective as well, as it gave me the opportunity to discover the areas in which my staff feel supported and the areas in which I can continue to support them next school year. With this data in hand, I now have a clear focus for my summer professional learning and a relevant way in which to support my staff next year!